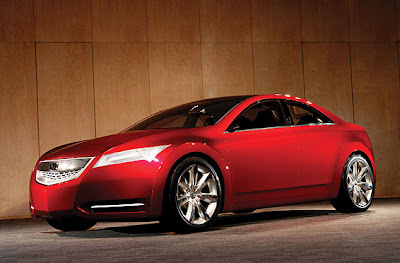 AboutAcura: Honda Sports 4 Concept: The 2009 TSX? 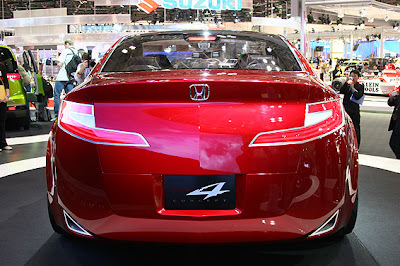 Designed in Japan, the Honda Sports 4 Concept features a slick, bold exterior with low-center of gravity, and low inertia body. Honda "chose a mid-size body to strike the ideal balance between superior driving performance and spacious comfort." 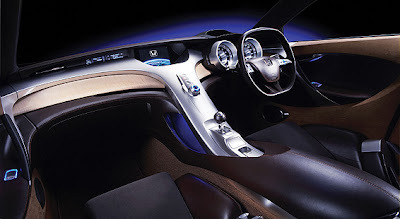 The sporty designed interior, is supposed to appear sculpted from a single form using metal, wood, leather, and other fine materials. 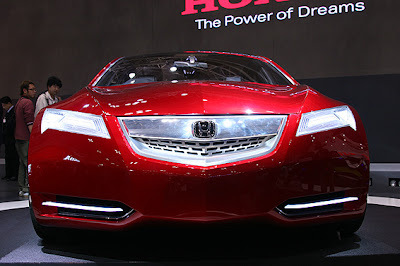 Super Handling All-Wheel Drive (SH-AWD) which first appeared on the Acura RL will also appear on this car. No details on engine, however many speculate a 2.4L 4 cylinder engine (maybe turbo?). Those aren't just decorations near the bottom, they're uniquely designed, highly functional fog lights! "Honda equipped the Sports 4 Concept with Super Handling All-Wheel Drive technology, which dynamically allocates torque to all four wheels for enhanced cornering performance, delivering superior driving stability and handling." It's a little shorter than the current Acura TL. Do I look like a Bond Girl? Concept Sports 4 Concept's rear end. "The Intelligent Night Vision pop-up display that opens and closes in response to changes in ambient light, are designed for instant recognition and intuitive control." 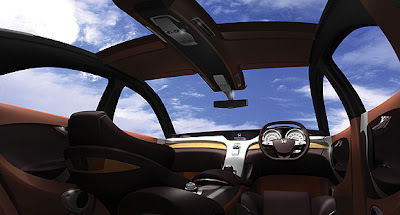 Occupants can also electrically control one of the 4 personal sky roofs. 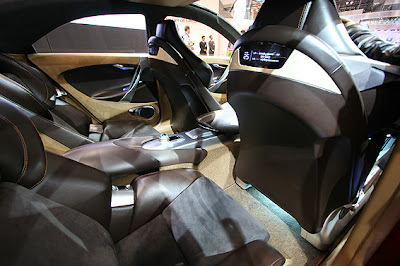 The Sports 4 Concept features independent bucket seats for each occupant. 1) SH-AWD - "Honda intends to spread from the Acura RL down throughout its luxury line." Key words being "luxury line." 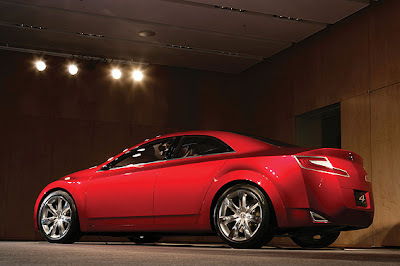 TSX = more luxurious Accord. 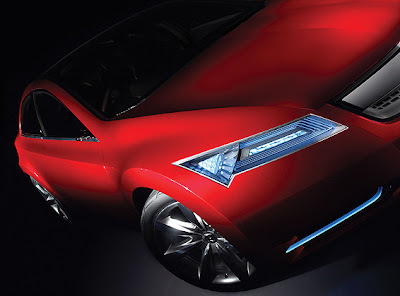 2) Keen-edged dynamic styling - Last time I heard this phrase was the introduction of Acura's Advanced Sports Car Concept. 3) Shorter than the current TL, therefore it most likely won't be the next TL. Rumor has it, the next TL will also have SH-AWD. 4) Basically an Accord with more "edge." To me it ready looks kind of like a "meatier" version of the current TSX. Do I think it will be a car starting plus $30k? I think so. Currently, the first generation TSX MSRP around $28k, that's without Navi. Add on SH-AWD, some new technology advancements, and wanting to move the their brand more upscale... the next TSX will be very close to $30k or a little above it. Looks as sick now as it did as a concept back in 2007. I still want one even now!